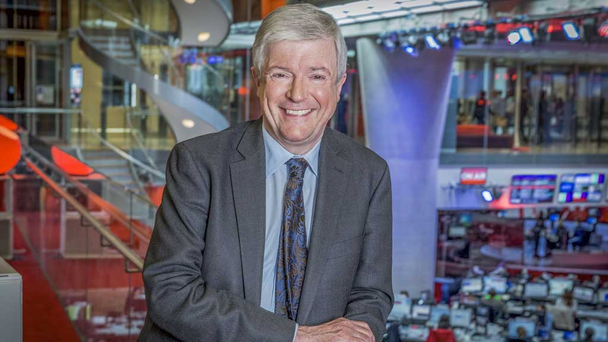 BBC director general Tony Hall (pictured) has outlined plans for an “open BBC for the internet age” that will work “much closer with others for the good of the nation”. In a speech this morning about the future vision of the BBC, Hall said that the internet will transform the BBC’s mission to inform in the coming decade, and that the BBC will become a “platform” and creative partner for the UK. Speaking at the Science Museum in London, Hall said a core part of the BBC’s vision was to set up an ‘Ideas Service’ that would host BBC content alongside that from cultural institutions like the British Museum and the Royal Shakespeare Company. “Our new, open BBC will act as a curator bringing the best from Britain’s great cultural institutions and thinkers to everyone,” said Hall. He also proposed opening up the BBC’s on-demand service, the iPlayer, to enable it to showcase content from others. Hall said that the BBC could potentially put the iPlayer “at the service of the sector, using its brand, technology and reach”. “The ambition is clear: a platform for Britain’s creativity, and an even better experience for UK audiences. We want to build with others a gateway to the world for British creativity,” said Hall. In terms of programming, Hall said he wanted British drama to be “the backbone of a more distinctive approach to all our services” and proposed making “bigger and bolder series” available all at once on the iPlayer so viewers can ‘binge-watch’. “The iPlayer helped create a market, and others followed with successful players of their own, but the result is that consumers have to search across many different video players and Britain is losing out to global players, who are busy building platforms that could become gatekeepers to British content,” said Hall, alluding to digital players like Netflix and Amazon. Hall proposed keeping the iPlayer as a free offer, with BBC content funded from the licence fee. The BBC is also aiming to make it possible to buy and keep programmes through the in-development BBC Store. Elsewhere, the BBC proposed launching a new children’s service, called iPlay, in a bid to provide more children’s content across more platforms. This new service will be designed as a “single front-door” for children to access content from the BBC and other trusted partners. Other proposals put forward by the BBC were: a review of the BBC’s website to ensure that it is “distinctive with a stronger focus on online broadcast content”; a new partnership with local newspapers on local reporting; a “transition from rolling news to streaming news, with BBC Newstream”; and “significant investment” in the BBC World Service, including a daily news programme for North Korea and more broadcasts to Russia, India and the Middle East. “An Open BBC is a million miles away from an expansionist BBC. Indeed it is the polar opposite. It comes from the desire to partner and share. It comes from the recognition that technology gives us the opportunity to do things very differently. It comes from the belief that the BBC must do even more for Britain as a whole,” said Hall. The new vision for the BBC comes ahead of the broadcaster’s charter renewal next year, and as the BBC battles to remain Britain’s leading broadcaster while having as much as 26% of its income cut. Hall said that to the BBC will have to manage its resources “ever more carefully and prioritise what we believe the BBC should offer” and said that the new-look BBC will inevitably mean that it will “either close or reduce some services”. However, he did not specify what might be cut.